At least 16 girls took part in a bowling competition in Kabul on Thursday in the hope of being selected for the national team’s selection tournament. At the end of the competition, six of the best bowlers were selected to take part in the tournament which will be held later this year. Zuhal Bayat, Elaha Noori and Mursal Amiri took the top three spots in the competition with 150, 147 and 123 respectively. “We have always supported federations and we support the interest of women in this sport. We will continue these efforts,” said Hafiz Wali Rahimi, head of the National Olympic Committee. “I am excited that I got first place in this competition. The level of the competition was high,” said Zuhal. “We proved today that girls can do sports like boys because there is no difference in sports between girls and boys. We call on other women and girls to do sport,” said Elaha Noori, one bowler. The head of Afghanistan Cricket Board Shukrullah Atif Mashal who attended the event as a guest said the decision to give women the chance to bowl was a big step in terms of supporting women in sports. “Good relations between sports offices can remove distances among people. There should be no difference in sports. We are committed to improving sport in the country,” Mashal said. 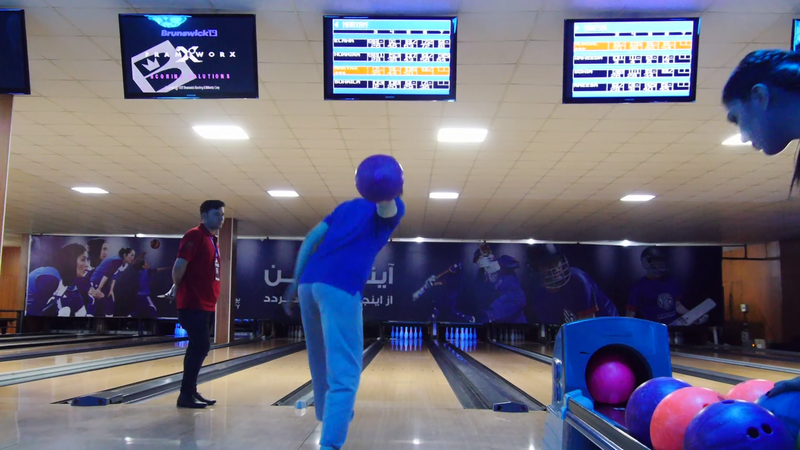 This comes after 32 male athletes attended a one-day bowling competition in Kabul on August 2. Six athletes were selected to play in the national team selection tournament. The Bowling Federation has held such competitions in Balkh and Herat provinces to pick good players for the selection tournament. Six bowlers were selected to play in the ladies national bowling team selection tournament this year.